She holds a B.A. in Psychology from Tennessee State University, a M.A. in Community Psychology and Urban Affairs and a Ph.D. in Community Psychology from Michigan State University. Aisha’s commitment to community and passion for social change is demonstrated through her varied volunteer work including Delta Sigma Theta Sorority, Inc., and the various boards of directors and advisory councils to which she lends her expertise and service. 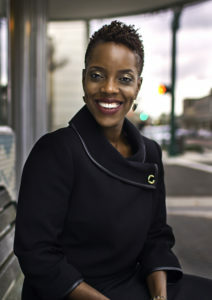 Aisha has received multiple honors, including recognition as a fellow of the W.K. Kellogg Foundation Community Leadership Network and Ascend at the Aspen Institute. Aisha’s life mission is to holistically and compassionately lift families out of cycles of poverty. When not working to transform impoverished communities, she is a wife and mommy to the best two little boys in the world.